Because of their short legs, it’s hard for dachshunds to meet their masters’ eyes.Also because of their short legs, it’s hard for them to get up on chairs.Is there no good way to get closer to the eyes? Stairs? With those too-long bodies, they may throw out their backs. How about something like a folded slope? This works. Let’s make it long enough so a person can lie down too. Sunbathing with your dachshund on the veranda is good. The area under the slope is like a burrow for small animals. They can train there, digging down there to catch their prey. If you connect several, they can go anywhere, and form any shape. Multiple stacks in an atrium space make a ramp for the dogs to go upstairs." 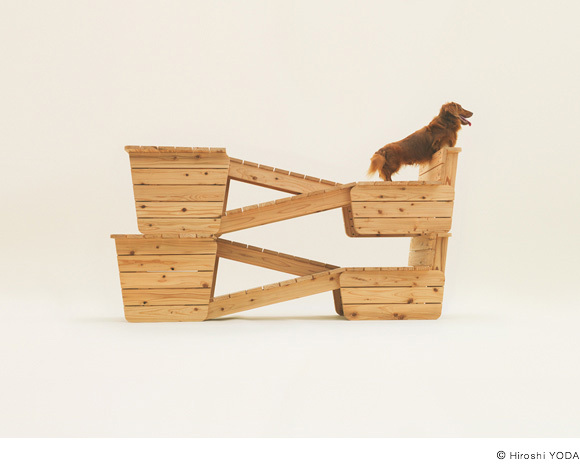 Atelier Bow-Wow is a Tokyo-based firm founded in 1992 by Yoshiharu Tsukamoto and Momoyo Kajiima. 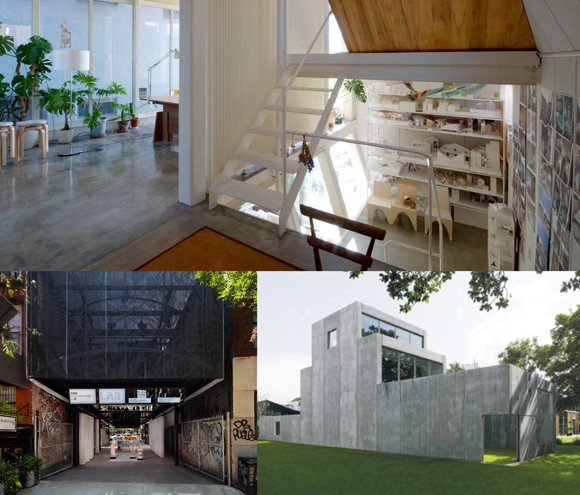 The practice has designed and built houses as well as public and commercial buildings in Tokyo, Europe and the USA. Its urban research studies led to the experimental project “micro-public-space”, a new concept of public space, which has been exhibited around the world.